This book provides an overview of women’s movements in Taiwan spanning three consecutive regimes in the twentieth century. Arguing that women’s movements can be attributed to the changing broader political context, this historical study navigates through Japanese colonialism, the Nationalist authoritarian government and the democratisation of the post-Martial Law era. Following Shu-Ju Ada Cheng and Yu Chien-Ming’s definition, Chang regards women’s autonomous movements as those that ‘maintained a high degree of ideological and organisational independence from the state’ (p. 11). Chang identifies four schools of feminism—liberal, relational, socialist and radical—that have laid the theoretical foundation for women’s movements in Taiwan since the 1920s. She argues that the first wave of a women’s autonomous movement in Taiwan emerged in the 1920s under Japanese colonial rule. Its development gained strength from other social and political movements when the colonial government showed a degree of tolerance towards political dissent in the 1920s. However, when this tolerance gradually diminished and the repression of the Taiwanese intensified with the advance of the Pacific War, the women’s movement collapsed together with other social movements. Active in this brief period of tolerance, the first wave of the women’s movement was under the influence of liberal, relational and socialist feminisms, which were prevalent in Taisho Japan and in post-May 4th Movement China and brought to Taiwan via Taiwanese overseas students in Japan and China. Consequently, the promotion of Taiwan’s cultural autonomy by the women’s movement reduced the Japanese pressure of assimilation, an essential part of its colonial repression. A women’s movement did not surface again until 1972, when Hsiu-Lien Annete Lu emerged as a pioneering figure leading the liberal feminist campaign. To underline Lu’s liberal tendency, Chang compares Lu with her US counterparts. She analyses Lu’s selective incorporation of Confucianism with liberal, socialist and existentialist feminisms to elucidate Lu’s negotiation strategy against the traditional values and the Nationalist authoritarian regime. A biographical approach and context analysis are also utilised to lay out how the other influential feminist, Lee Yuan-Chen, who became a leading figure after 1982, was a creative and independent disciple of Simone de Beauvoir, Margret Mead, Jean Baker Miller and Hsiu-Lien Annette Lu. 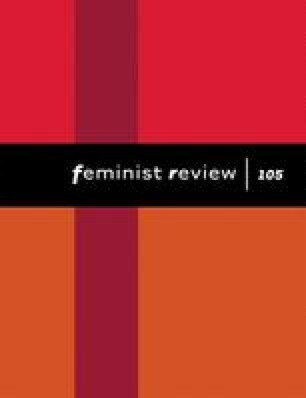 In sum, both liberal and relational feminisms—the latter derived from the complementarity in the traditional Chinese philosophy between ying and yang and standing for the mutuality and equality between the husband and wife—informed the two waves of the movements from 1972 to 1979 and from 1982 to 1989. Moving to the post-Martial Law era, Chang argues that while liberal and relational feminisms continued to lay the logical foundation for women’s movements, democratisation enabled a variety of theories and issues to be applied or examined in the public space that gradually opened up in the 1990s. Among these theories was socialist feminism, which examined the exploitation of female workers under the alliance of capitalism and Confucian patriarchy. Sexual liberation ideology and lesbian feminism also emerged from these diversified theories. The former was included in the radical feminist discourse, and the latter criticised the mutual reinforcement between Confucian patriarchy and heterosexism. Chang assigns Hsiu-Lien Annette Lu and Lee Yuan-Chen, two influential figures who steered the direction of the women’s movements, a prominent position in this book. A fifth of the book is dedicated to Lu and Lee’s personal scholarship, leadership and contribution to the campaign for protecting and advocating women’s rights. There is no doubt that their theoretical work strengthened the women’s movements at their formative stages. Their leadership brought about a clear agenda to re-examine the prevalent issues of the time, such as personal identity, employment, marriage, family, home economics, abortion and motherhood. Chang’s detailed study of the two leaders builds a bridge with which to connect the women’s movements of earlier times under the authoritarian Nationalist government to those that were founded on more diversified theories in the post-Martial Law era. In the last chapter, under the heading ‘[t]he Alliance of Patriarchy and Capitalism in the Era of Globalisation’, Chang analyses the employment of female guest workers in the framework of capitalist exploitation and the Chinese and Southeast Asian ‘brides’ of Taiwanese males in relation to naturalisation in Taiwan (pp. 145–146). She mentions that the Awakening Foundation, part of a coalition of labour and human rights organisations, contributed to the improvement of migrant workers’ legal treatment. Although there is no doubt that local women’s organisations made such positive contributions, Chang overlooks the fact that the employment of female migrant workers on the assembly line or in the home, caring for the young, ill or elderly, challenges the liberal and relational feminist pronouncements with regard to patriarchy, and women’s employment, marriage, production, reproduction and caring duties. Purchasing foreign women’s homemaking labour, local women, who are released from housework and caring duties, do not necessarily feel solidarity with their foreign employees. Chang discusses the fact that feminists urged the government to reform its unfriendly naturalisation legislation, but she does not note that the legislation was made unfriendly towards immigrant wives partly because of its embedded gender and ethnic bias that regarded immigrant wives as inferior and undesirable others. Chang presents a useful summary of Taiwan’s naturalisation legislation, but she does not elaborate that the legislation is differentiated towards Chinese and foreign immigrant wives. Being excluded from the application of the legislation that regulates foreign nationals, Chinese immigrants are not regarded as foreign nationals. Instead, they are governed by a special law that is constitutionally authorised to deal with the ambiguity: citizens of the People’s Republic of China are nationals, but not citizens, of the Republic of China (ROC, the formal title of Taiwan). In other words, they are neither foreign nor domestic. This ambiguity and the differentiation in the legislation underline the contested national identity of Taiwan in the past two decades. That is, while the island asserts the Taiwanese identity that is based on its de facto independence and separation from China, it still upholds its ROC Constitution. Therefore, Chang misses an opportunity to see that, as potential members of the national community, the demands of immigrants for rights and entitlements—guest workers as well as immigrant wives—pose a challenge to the state’s self-claimed adherence to universal human rights, its gender mainstreaming campaign and its ultimate nation-building strategy. On the whole, this book gives a clear outline of the salient issues that women in Taiwan are confronted with within each period. It enables readers to trace the continuity, disruption and contrast in how the movements developed in China and Taiwan. The discussion of the women’s movements under Japanese colonial rule provides a useful lens through which the women’s movements in Japan proper, the metropolis of the empire, can be compared. The examination of how the movements in Taiwan inherit and evolve from Chinese as well as Japanese influences facilitates a comparison whereby the perspectives of gender, culture and ethnicity are juxtaposed. This comparative perspective exposes the contradictions of nationalism, patriotism and colonialism. Overall, the book is an informative guide for those who have a regional interest in the women’s movements of East Asia. It is a valuable contribution to the scholarship in gender studies in general and Taiwan studies in particular.